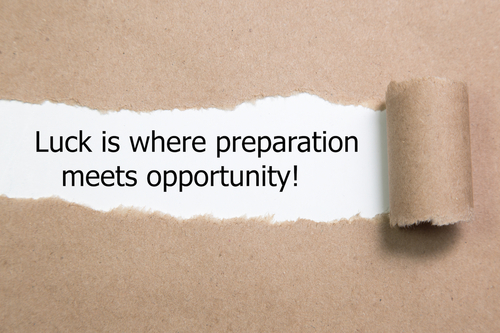 Many people underperform in an interview by simply not preparing adequately. The following fundamental activities are essential in achieving success at interview. Find out something interesting about the company you are applying to join. This kind of information can be most easily sourced from the company website and current news articles (Google is your best friend here). Having some knowledge will help to demonstrate that you are genuinely interested in the job. It may also give you a confidence boost and make an excellent starting point for asking questions throughout the interview process. It is very important to ask questions in your interview to showcase your interest in both the job and the company itself. What medium term goals does the company have? What are the current priorities and objectives of the department you would be working in? What results would you be expected to achieve within the first six months? How will this role develop in the longer term? Who are the direct competitors of the company and what are the main business issues facing the company at the present time? 2. Talk more. Be ready to discuss your CV contents in further detail. You have been selected to interview based on this information. It is likely that you will be asked to elaborate on certain elements outlined on your CV so the interviewer can confirm your knowledge, understanding and depth of experience. Make sure that you fully understand the job specification and consider all the required skills and abilities. Decide how you can demonstrate that your own skills and experience match each of these job requirements. 3. Plan your journey. Luckily, your consultant at LRS will be able to assist you here. We will provide you with journey details and office location maps. For journeys by public transport, it is suggested that you look on the TFL and National Rail website. For journeys using your own transport, we suggest that you plan your journey using either the AA website or RAC route planner. For location maps, you can use the Street Map website. 4. Punctuality. This one is self-explanatory. Always arrive on time for your interview, ideally 5 minutes before the agreed time. Avoid being late and making a bad impression before you have even started the interview. Do not arrive too early either, as it may result in having to wait in reception and irritating or interrupting your interviewer! 5. Formal attire. A professional outfit will prove you are serious about the job and create a positive impression. Even when a company has a casual dress policy, it is advisable to abide by a smart dress code at this stage.